To guarantee your privacy on the Internet you can make use of encrypted point-to-point connections using virtual private network technology. 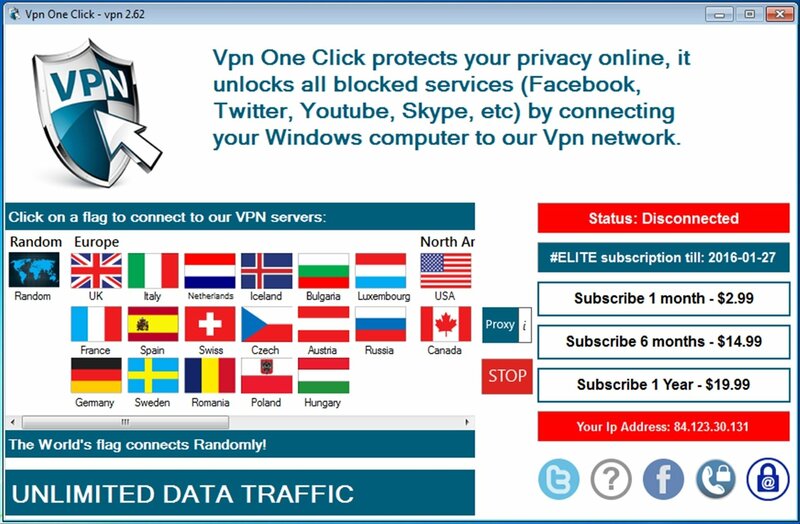 For such purpose, you can use free applications like Vpn One Click to guarantee your anonymity when you browse the Internet. Servers available in 28 countries. This virtual private network application offers anonymous access to the Internet through its 28 public servers spread out all over the world: USA, Canada, UK, Italy, France, Sweden, Germany, Netherlands, Austria, Spain, Chile, Japan... If you want to make the most of a faster service you can sign up for the paid Elite version. Obtain an IP of the country of your choice, so that you can access contents that are limited geographically. Browse anonymously, all the traffic (email, web, VoIP) is encrypted using the PPTP protocol with 128-bit keys or using L2TP/IPsec by means of 256-bit keys.